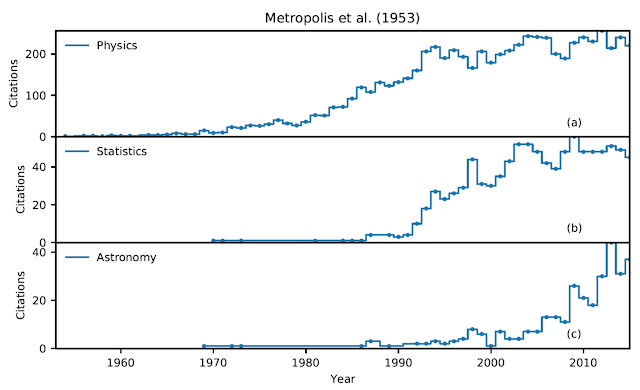 The graph above shows the historical increase in academic citations to a single paper, published in 1953: Metropolis, N.; Rosenbluth, A.W. ; Rosenbluth, M.N. ; Teller, A.H.; Teller, E. (1953). "Equations of State Calculations by Fast Computing Machines". Journal of Chemical Physics. 21 (6): 1087–1092. 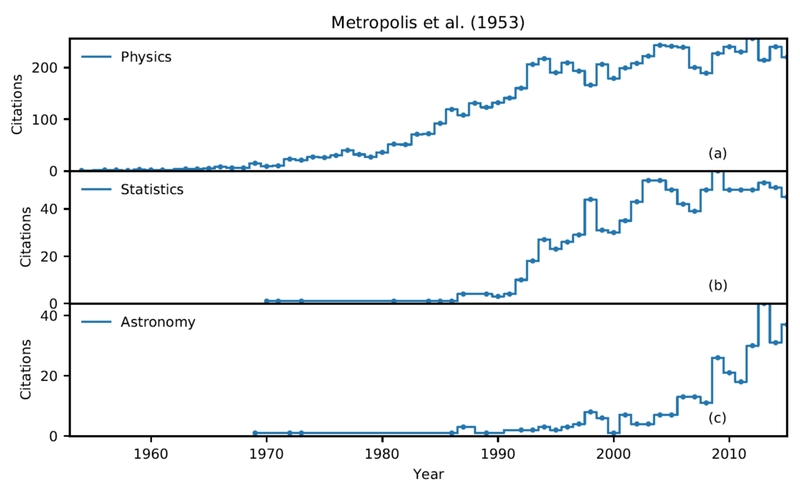 The graph comes from a recent review paper: Markov Chain Monte Carlo Methods for Bayesian Data Analysis in Astronomy by Sanjib Sharma (HERE).